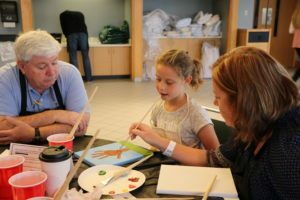 Family Adventure Day at Minnetrista: Spring Celebration! Who’s ready for an adventure? Bring your family and friends for a day full of free adventures together at Minnetrista! There will be lawn games outside Betty’s Cabin; activities with Let There Be Art and Partners in Literacy in the main building; and exciting places to explore all around campus with the seasonal Explorer Bags.